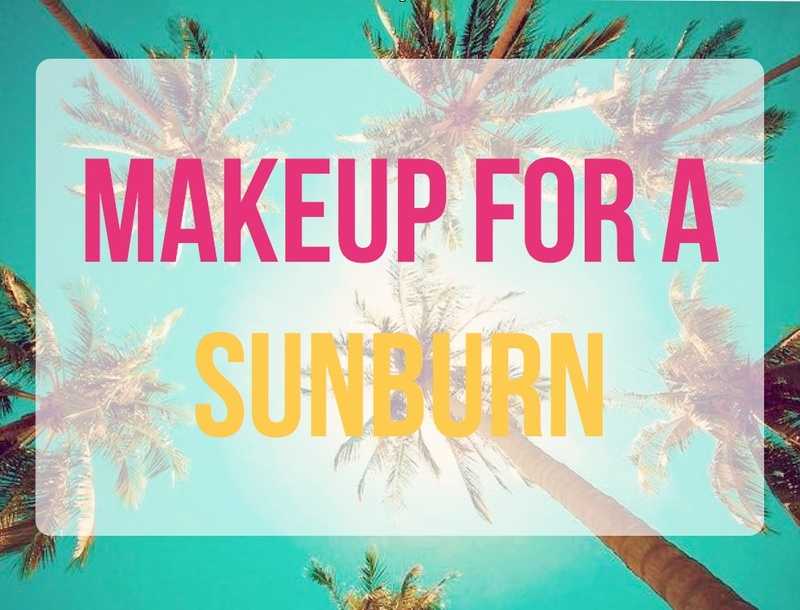 During the warm summer months it’s almost inevitable that any girl-on-the-go will get sunburnt. Redness on the face and body can not only be painful, but hard to cover up. 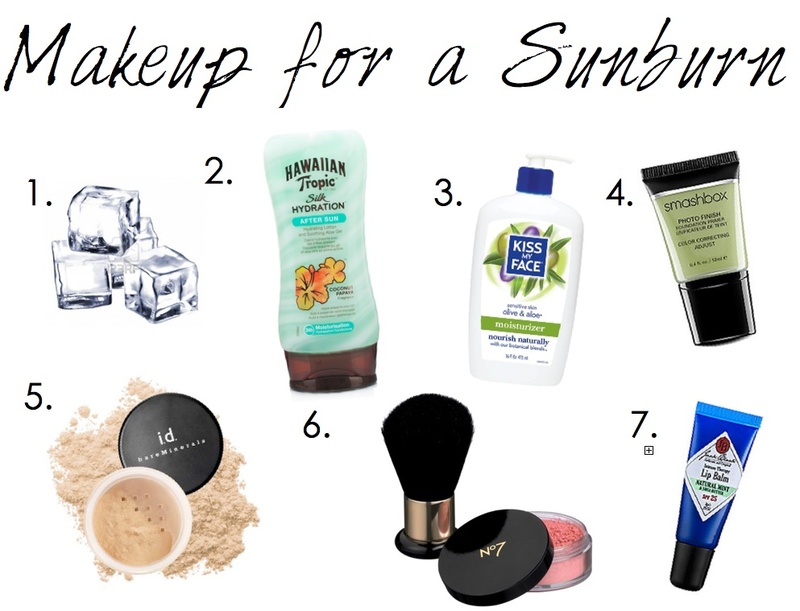 The best way to treat skin after a sunburn is to keep it moisturized and refrain from layering on makeup. But sometimes a little help is needed to conceal burns for events like weddings or even just to go to school. Here are a few tips and products that will help repair damaged skin as well as conceal it for a fresh and healthy look. Ice Ice Baby: After a sunburn, blood vessels come closer to the surface of the skin to help repair the damage. Gently rubbing an ice cube on sunburned areas can help reduce swelling and redness. Be sure to slightly warm the ice cube up in your hand before directly applying it to the skin. If the skin is too sensitive for direct contact, wrap a tissue or paper towel around it to help buffer the cold. *Tip: If your entire body is sunburnt, use a body lotion with aloe in it to help alleviate the pain. Try Hawaiian Tropic’s Silk Hydration After Sun Lotion ($8) for 24 hours of moisturization and soothing aloe. Another great numbing agent is lidocaine, which can be found in creams and lathered on the body after a burn. Cleanse: For the first week or so after sun damage, try not to cleanse the skin with products that have peroxide or salicylic acid, to avoid irritation. Try Neutrogena’s Extra Gentle Cleanser ($7), which will add moisture back into the skin, rather than stripping it. Moisturize: After cleansing, choose a moisturizer with aloe in it for a calming effect that reduces redness. Try Kiss My Face’s Olive & Aloe Moisturizer for Sensitive Skin ($12), which will soothe and care for the skin. Green Primer: For a burn on the face, use a green primer as a base. The green will help neutralize the redness from the sunburn and allow for more even coverage when foundation is applied. Try Smashbox's Photo Finish Color Correcting Foundation Primer ($15) to help fill in lines and even out discoloration. Foundation: Either powder or liquid foundation can work over a sunburn, but be sure to gently apply it with a foundation brush to reduce further irritation. Bare Minerals Powder Foundation SPF 15 ($27) is made without synthetic chemicals and will easily cover a sunburn. It also has an SPF in it, which will help prevent further burning or irritation. Blush: Apply blush sparingly when covering a sunburn. If your natural flush is still coming through, you can skip blush altogether. For just a hint of color on the cheeks, choose a light pink that won’t make you look like you got sunburnt all over again. Try Boots No7 Mineral Blusher ($10) for just a hint of pink to the cheeks. Lip Balm: Usually when a sunburn occurs on the face, that means that the lips are burnt as well. Finish off the look with a soothing lip balm with SPF in it. Try Jack Black's Intense Therapy Lip Balm SPF 25 ($8) for protection. The minty balm will help moisturize and protect. This summer, be sure to wear an SPF every single day, even if it’s just in a daily moisturizer. Also, drink water to keep your body and skin healthy and hydrated! Taking care of your skin should definitely be a priority, and preventing sunburns is one of the best ways to be proactive about it. Be sure to keep an easy mini spray of sunblock (like this one!) in your purse and car so you can be prepared at all times.